A light and airy bracelet! 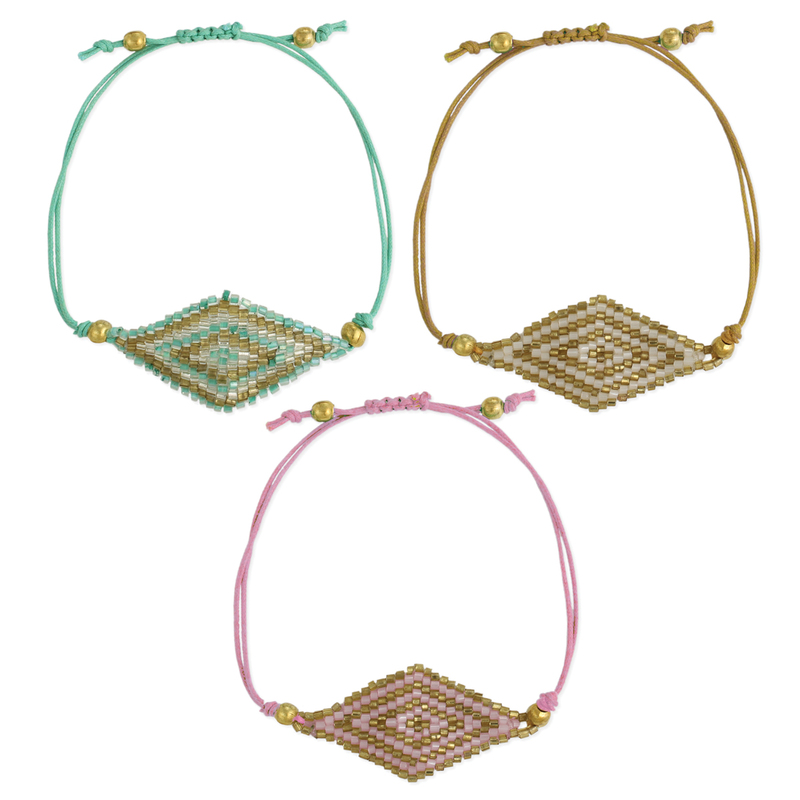 This pull bracelet with 2 lines of pastel cord features a woven beaded diamond shaped centerpiece. Pastel and amber beads give this bracelet and elegant look.